2 Beds 1 Bath 892 Sq. ft.
Honey Stop the car!!! 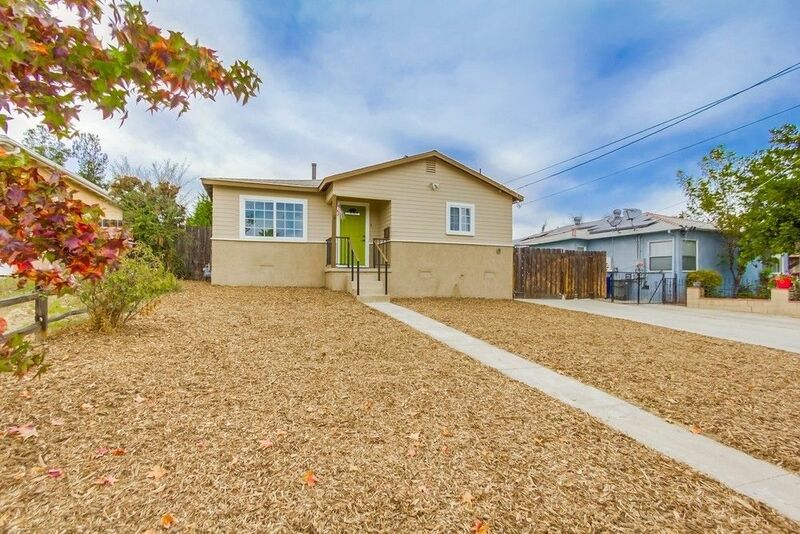 Excellent opportunity to own a super cute 2 bedroom home on over 1/3 of an acre in El Cajon. New composition roof, Granite kitchen counter tops and stainless steel sink. Tile flooring with Carpet in the bedrooms for comfort. This lot is huge, tons of room for all your toys or projects with a Detached 1 car garage with new roll up door. New efficient tank less water heater and much more. This home is priced to sell fast and will not last long! Call today!